Home Bible Studies About Marriage What Is The Best Bible For A 7-Year-Old? Buying a Bible for a kid can be tough. You have to ask yourself, how much can they understand. We believe that your 7-year-old will love the NIrV Adventure Bible for early readers. NIrV stands for New International Reader’s Version. It includes the complete Bible in the New International Reader’s Version (NIrV) which is written at the third-grade reading level for children just beginning to explore the Bible on their own. The Adventure Bible® for Early Readers guides you on a merry, exciting journey through God’s Word. Along the way, you’ll meet all kinds of people, see all sorts of places, and discover all sorts of things about the Bible. Most importantly, you’ll become closer in your connection with God. Includes the entire New International Reader’s Version (NIrV) which is written at the third-grade reading level for kids just beginning to investigate the Bible on their own. How perfectly designed and age appropriate for your 7-year-old! What are some things you should consider when buying the NIrV Adventure Bible? It is illustrated in full color. This is so necessary for gaining the attention of your 7-year-old. There are lots of worldly books competing for his/her attention, so the full color is crucial. The NIrV (New International Reader’s Version) is written at the third-grade reading level for children just beginning to read on their own. How great it is that they will not have to struggle with hard words and difficult grammatical structures while endeavoring to understand the Word of God. We chose the NIrV Adventure Bible over others for your 7-year-old because the study guides are so expertly tailored for him/her. 1 Corinthians 13’s passage on love is rewritten for better understanding. These first 2 are separate pages that are interspersed throughout the Bible; they do not replace the actual passages. There are seven pages of full-color maps at the back of the Bible that include The World of the Patriarchs, Exodus, the 12 tribes, Kingdom of David and Solomon, Jesus’ Ministry and a 2-page spread on Paul’s missionary journeys. Every book of the Bible begins with a page that discusses where that book happened, who wrote it, etc. Parents love it, and they learn from it too. The child can follow along with the NIV version. Archaic words and Hebrew names are simplified in the NIrV, but they can be read together. There are some devotionals/activities (such as the one pictured in the “Live It!” section under 1 Samuel) that teach character to little ones and in a way that they can understand and apply it. Some reviewers said that the print is too small. Others did not like that the words of Jesus are not in red. One even said that parts of the Word are absent, pages explicitly 1203 – 1266. That is the ending of Matthew, the entire book of Mark, and the first sixteen chapters of Luke. It is not written from a Spirit-filled perspective and will not provide knowledge of the spiritual realm that he/she needs. Why should you purchase the NIrV Adventure Bible for your 7-year-old? 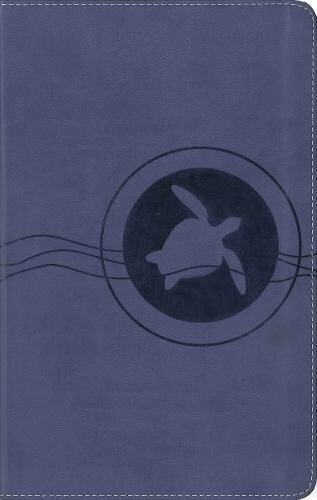 When it is all said and done it is the NIrV Adventure Bible is the best Bible for your 7-year-old. The fact that the NIrV is the actual Word of God is fantastic. It can be read alongside the NIV. The study guides are written at a third-grade reading level, so your 7-year-old will be very happy that he/she can read it alone. This can go a long way towards your child forming a quiet time with the Lord. The maps and color illustrations are stellar and will hold the attention of your 7-year-old. Explanations of people and places in the Bible are written clearly. “Live It” sections are filled with practical advice on how to live God’s way. 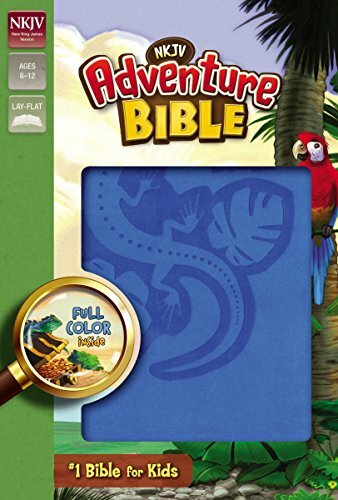 In looking at children’s Bibles in the age range of a 7-year-old, I found not one better than the NIrV Adventure Bible. I highly recommend it! Previous articleWhat Is The Best Bible For A Teenage Girl? Next articleWhat Is The Best Bible Commentary For Pastors?